is the most fitting medium. 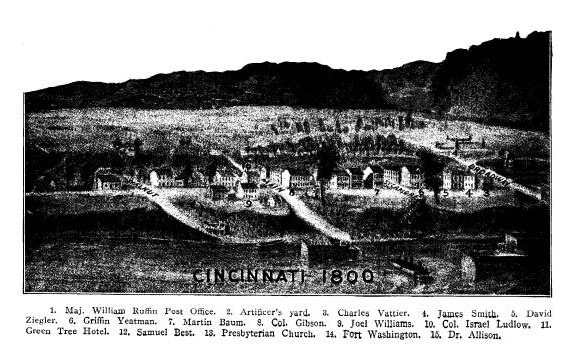 128 Ohio Arch. and Hist. Society Publications. fear and the hate of the so-called mother country in our breasts. of fertile fields, to fade into oblivion. minor engagements, in the battles of Tulcza, Maczin and Babadag. badge and an honorable discharge. 130 Ohio Arch. and Hist. Society Publications. sylvania in the War of the Revolution", Vol. 1, pp. 3-24.
open the guard house and taken the man out." 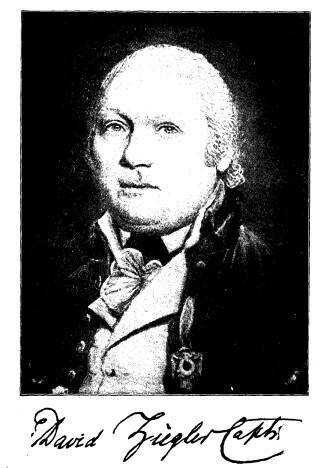 of same date at which Mr. John Adams, Mr. S. Adams, Mr.
132 Ohio Arch. and Hist. Society Publications. corps to be hereafter settled." 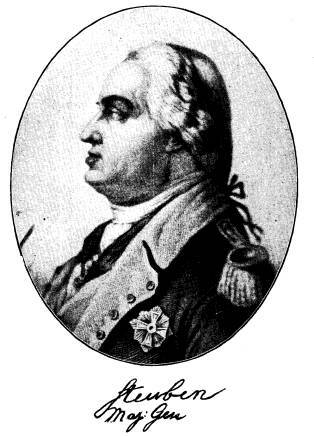 received a meritorious mentioning in the report of General St.
Clair followed by a promotion to a Captaincy December 8, 1778.
father being Johann L. Kalb, a farmer near Altdorf, Germany. boro (from May, 1779 to May, 1780). your Honours Approbation by doing so alwase (always) in the future. Philadelphia, 6000 dollars to Lieut. Col'o. Farmer. 134 Ohio Arch. and Hist. Society Publications. it would be for the Gentlemen which takes my place after this. was again ordered on duty at the commissariat department. be agreeable to the officers." to look after the Commissary, who failed to appear;" and "Capt. stores", may be found all through Feltman's or Denny's Journals. testifying to this fact. For instance, on June 23, 1779: "Capt. 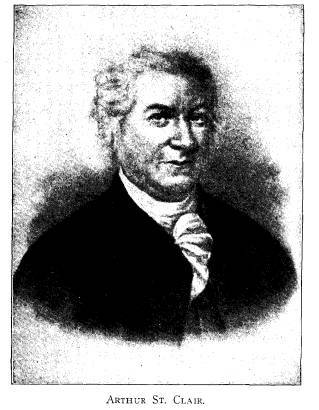 ing notice from Feltman's Journal of March 31, 1782: "Capt. Company for drilling, until otherwise commanded." 136 Ohio Arch. and Hist. Society Publications. The article of Miss Steele is authority for this paragraph. to the strict discipline enforced by him. 138 Ohio Arch. and Hist. Society Publications. trenches on the day of capitulation. 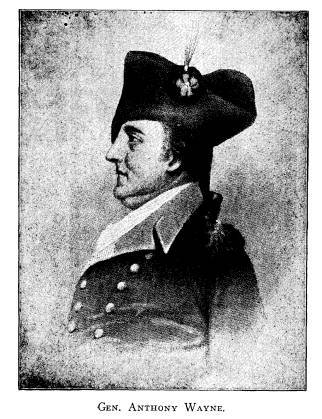 wise the case with Captain Ziegler, retired Jan. 1, 1783.
he formed a dialect not easily to be comprehended. 140 Ohio Arch. and Hist. Society Publications. 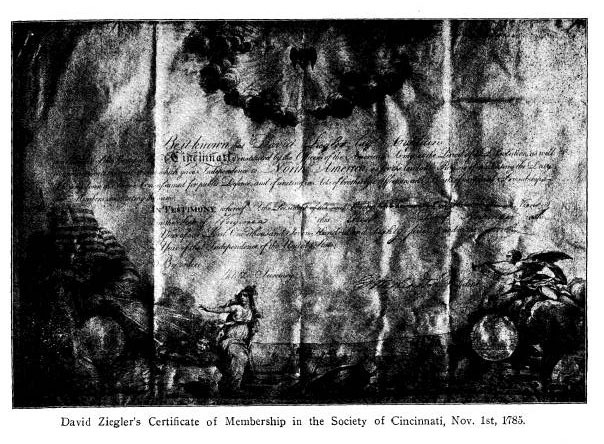 which he belonged and of which membership he was very proud. vantage with some of the Great Princes and Powers of the Earth. sary to their happiness, and the future Dignity of the American Empire. 142 Ohio Arch. and Hist. Society Publications. tary Policy of the United States;"
regard to military affairs, which led to vital mistakes in army legislation. disastrous effects which inevitably follow. enemy, and even then have no guarantee of success. tained without the existence of a good corps of officers. 144 Ohio Arch. and Hist. Society Publications. Indians had come in there the night before, their design unknown. Captain Ziegler set out immediately to ascertain their intentions. by Major Doughty the preceding autumn. The voice of war resounds again. 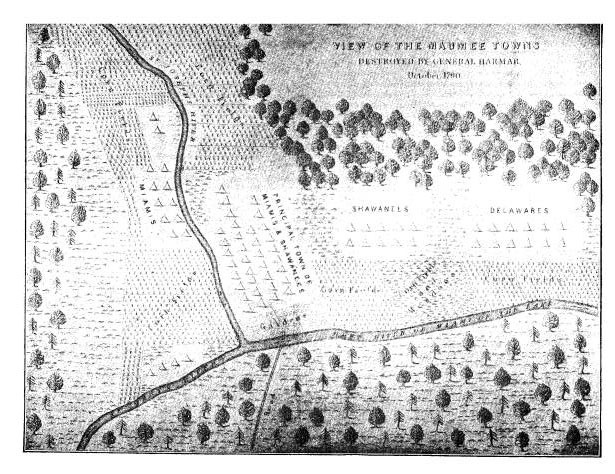 p. 240 et seq., and the "Colonial Records of Pennsylvania," vol. I am sorry for it, but hope you will get it. difficulty among the settlers about public and private property. hundred and twenty nine men. Vincennes; the distance I am well informed is no more than fifty miles. boats, with their horses and cattle. men to transport the baggage up the Wabash river. October 1st, Ziegler's and Strong's companies marched at 11 A. M.
o'clock A. M. and took possession of our old quarters. rules of the Articles of last war. When I marched from the city, Col.
the better equipment of his company). 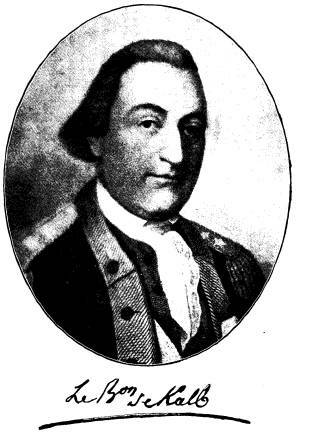 he arrived at Fort Pitt early in August, 1788. FORT HARMAR, August 7, 1788.
insolence and defiance of the supreme authority. CAPT. DAVID ZIEGLER at Fort Pitt. came to negotiate a treaty with the United States government. with a running fire from their rifles." from Fort Pitt coming down on the other side of Kerr's Island. in the whole to about fifty, including men, women and children. company, which is still preserved. 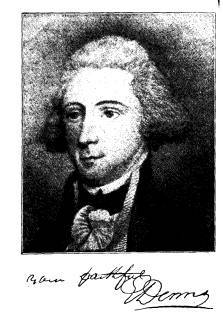 youngest child of Benjamin and Hannah Coggeshall Sheffield. and Mrs. Isaac Peirce, Mr.
the First Regiment, to Miss Sheffield, only single daughter of Mrs.
played the Captain's aid, and at his request the memorandums made. of Captain's nuptials, the first of the kind I have been a witness to." FORT WASHINGTON, April 5, 1790.
ruary, and the 6th, 24th, 26th and 27th ult. the Indians begin already to be very troublesome on the river near Scioto. remainder of the clothing I shall be expecting when Lieut. Denny arrives. 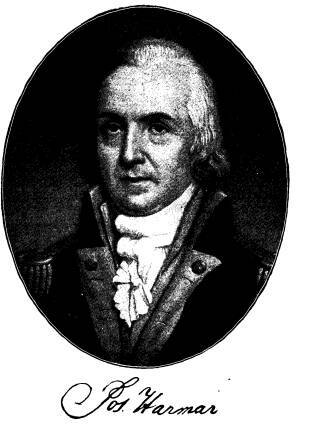 CAPTAIN DAVID ZIEGLER, Commanding officer at Fort Harmar. but what can an infant settlement like this supply?" Indians "an humble supplication for peace," but in this St.
commissioned Major of the First Regiment U. S. Infantry Oct.
join the army of St. Clair. 154 Ohio Arch. and Hist. Society Publications. Fort Washington, which they reached on the 8th of November. 156 Ohio Arch. and Hist. Society Publications. though he entirely lacked Arnold's ability and brilliant courage." the army, March 5th, 1792.
working with the men in order to expedite the work. 158 Ohio Arch. and Hist. Society Publications. more, next to Griffin Yeatman's tavern. his respects to those who are delinquent." Is genuine, solid, old Teutonic pluck." exposed for sale at the store lately occupied by Robert Tait, deceased. Corn will be taken equal to cash." announced by sixteen discharges of cannon, in quick succession. cellency, Gov. St. Clair, then delivered an address. publicans, who had a dinner at Major Ziegler's. a Clerk and a Marshall. Magistracy-by a large majority. "This was expressly done,"
160 Ohio Arch. and Hist. Society Publications. of the Council was just east of Griffin Yeatman's tavern. from runing at large in certain places. 162 Ohio Arch. and Hist. Society Publications. able person to hold the reins of the unmanageable village team. musters which were regularly held by the vigorous commander. 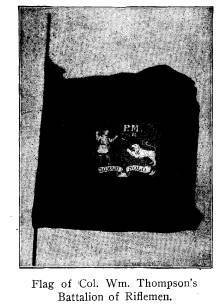 powder-flasks, bullet pouches, well filled, on penalty of a fine. 164 Ohio Arch. and Hist. Society Publications. the social life of that time. One reads, "The honor of Mrs.
4th inst., at 7 o'clock, p. m., at Griffin Yeatman's Hotel. D.
even to old age, talked with enthusiasm of these charming visits. home tomorrow. Eliza goes with them to stay two or three weeks. over when they get to Dayton, and I think they will want rest." evening 22nd, at 6 o'clock. "William Ruffin, E. H. Stall, J.
Baymiller, J. W. Sloan, managers." has been a succession of dinners and evening parties." tained both friends and strangers. 166 Ohio Arch. and Hist. Society Publications. dignity of deportment and affectionate kindness of character"
ceived reminded him of accounts of old English hospitality. then "a village of wooden buildings with a garrison of soldiers. follows: wounded, four men; killed, one gun." main part of this Summer. Ziegler's request was complied with. position he held until the time of his death. habitants of the town whose first Chief Magistrate he had been. a zealous, a brave and active officer, to the end of the glorious struggle." 168 Ohio Arch. and Hist. Society Publications. good neighbor, a punctual dealer, and in truth an upright man. The Major's horse with his saddle, holster and pistols. The clergy and Physicians of the town. Cavalry, Capt. 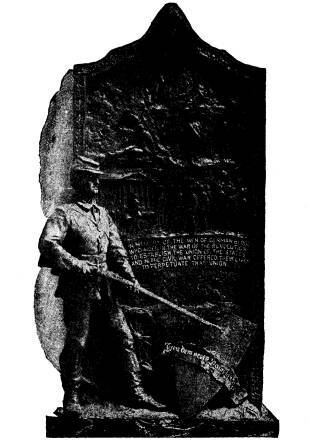 Sloan, with arms reversed. son at the Presbyterian Meeting House." he himself being of dark complexion. the Bank of Pennsylvania at Philadelphia. poor. She was said to be very attractive in person and manner. Marietta friends and alludes to her when a bride, in his journal. 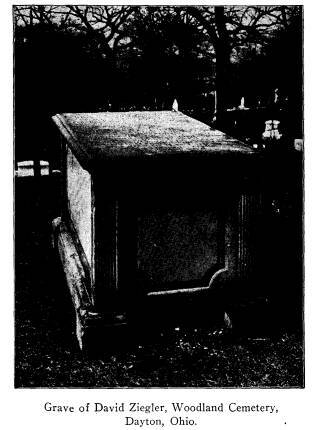 "A late paper from Cincinnati mentioned the decease of Mrs.
bids thee a short farewell." 170 Ohio Arch. and Hist. Society Publications. Ziegler's sister to his wife. and encompassed with love until death. ful truth honor you as a loving sister. position was united with the means of gratifying it." much of the information of this article. 172 Ohio Arch. and Hist. Society Publications. the stone bearing the legend of his memory. founder of the first grave yard in Dayton. cruits, all co-patriots with Ziegler. 174 Ohio Arch. and Hist. Society Publications. Tread lightly, this is hallowed ground! tread reverently here! Tread lightly then, and here bestow the tribute of a tear.